SUSPECTS ZERO – ESCAPE ROUTES OPEN – AND BURMESE TAKE THE BRUNT OF POLICE OPERATIONS. Thai Police were today raiding the homes and workplaces of more Burmese migrant workers on the Thai holiday island of Koh Tao after DNA tests showed no matches with any former suspects in the murders of Britons Hannah Witheridge and David Miller. After clearing James and Christopher Ware the long term friends of David Miller and all the Burmes suspects officers raided the area of the ‘Secret Garden Resort’ on the island taking away four workers. One was a Burmese mechanic who had been on the island for over a decade. He looked considerably puzzled about his arrest – but meekly joined the other three. Police also went looking for a Burmese working in an American restaurant called ‘Bookers’ – but he had since left the island. According to the owner he did not turn up for work on Monday – but he had said earlier that he was leaving. In fact, as the island was never ever locked down (contrary to earlier reports) the killer or killers, who battered the young Brits to death with a hoe early on Monday morning, could not only have but are likely to have made their escape some time ago. There are four ferry routes out and numerous local boats at their disposal. An old island hand, who, requested that neither his name nor even nationality be disclosed said: “If the culprits are Thai and from this island they’ll either be gone or they will be protected by local forces. Asked what forces – replied: ‘Leave it at that’. There has always been a close relationship with police and the principal island families who control every money making business in this holiday idyll in one form or another. 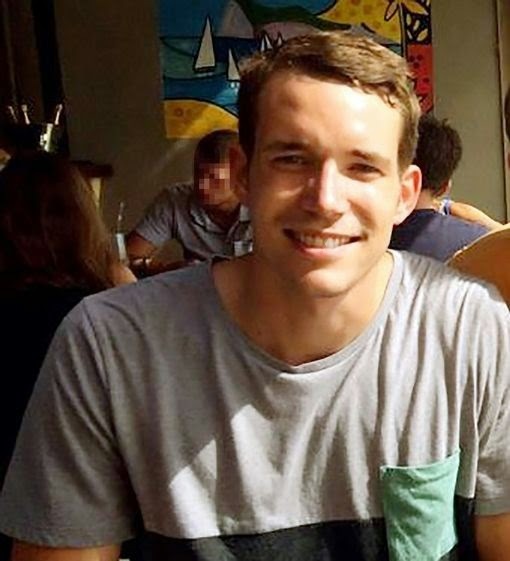 Claims today that police were looking for three men – two tall men, one short – who were seen on Sairee beach near the place the bodies where the bodies of Hannah Witheridge and David Miller were found, smoking, playing guitar and singing an “English” song in the early hours of Monday morning, were being met with some puzzlement. DNA forensic evidence now points to the fact that two male raped Hannah and one of their DNAs matched DNA found on a cigarette found nearby. Members of the family of Witheridge, from Great Yarmouth in Norfolk, met Royal Thai Police adviser Jarumporn Suramanee at police headquarters today. British Consul Michael Hancock said that they were still distressed and it had been comforting to get information from the top as opposed to what they had been getting from the media. He did not divulge what the Deputy Chief Police told the family. 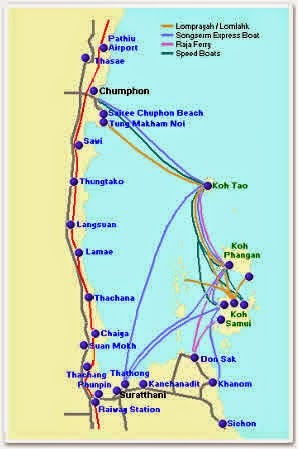 Had the killers left the island they could have gone by ferry to the islands of Koh Phangan, or Koh Samui or to the mainland provincial capital of Surat Thani, or the town of Chumpon. 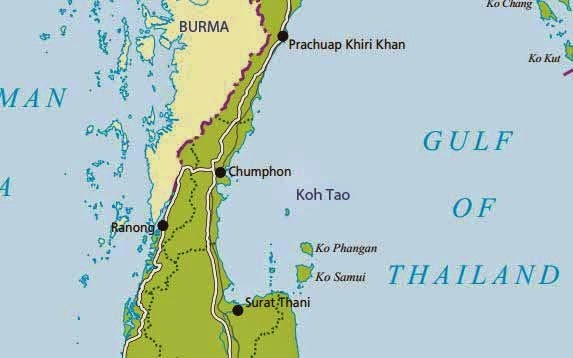 From Chumpon to Victoria Point is only a short trip across the isthmus of Thailand (Isthmus of Kra) – and ,if the culprits are indeed Burmese as the Thais claim, then they could be back home and safe in half a day. There are checkpoints but police had no names to pass on. “Here we go again,botched investigation, dna contaminated,red herrings everywhere…. Makes me so mad”. Let’s hope she is wrong. Below – one former long term resident’s view of Koh Samui – which give another perspective of island life, with thanks to ‘John Trove’.